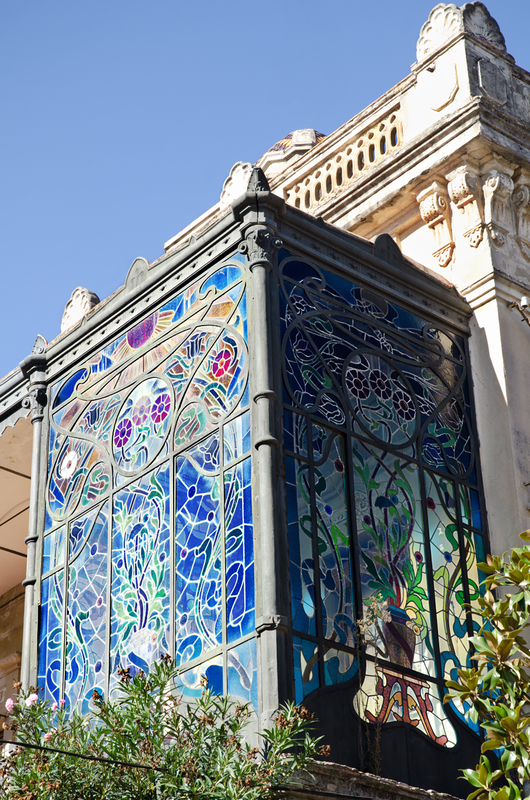 This beautiful balcony partly covered in stained glass can be admired on a house at 26 Calle de la Diputación in Sant Sadurni D'Anoia not far away from Cavas de Freixenet, the renown Catalan cava cellars. This is the exact spot in town to find Cal Calixtus (1885) which is the name of this beautiful sample of Catalan modernisme. I can only imagine how beautiful this must be sitting inside on a sunny day!